Due to the nutrients it received, this Mandragora grew into a non-blooming plant. 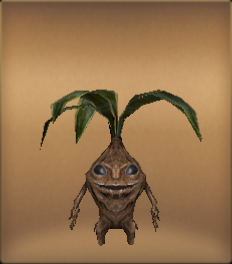 This Mandragora tends to be strong and healthy, and needs little looking after. In Elan villages, parents often given them to children to play together.